Mubasher: Russia’s central bank left the key policy rate at its current level after raising it last December, as a rally in the rouble (RUB) and weak consumer demand restrained a surge in inflation. The one-week auction rate was held at 7.75%, according to a statement on Friday. 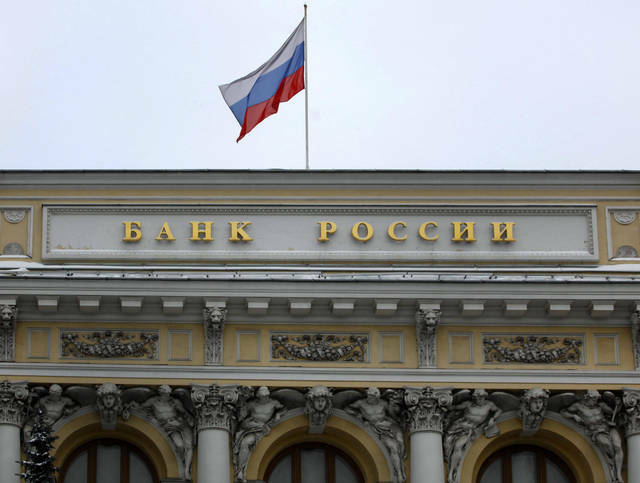 The decision came after the Russian central bank's unexpected interest rate hikes at the end of last year for the first time since 2014. It is worth noting that headline inflation jumped to 5% year-on-year last January, compared with 4.3% in the prior month, whereas core inflation saw a surprising decline as weak consumer demand kept a lid on price surges. The central bank maintained its forecast that annual inflation will hit a peak in the first high of this year, and retreat to as low as 5% by the end of the year, hitting 4% in 2020.